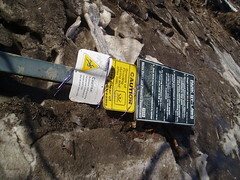 I finally got around to visiting the scene of the apocalypse that was Etienne Brule Park with my camera. 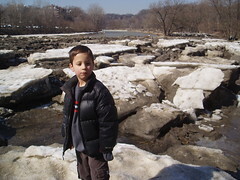 My son and I made the walk by the Humber River near the Old Mill where recent flooding has created an ice age of sorts. 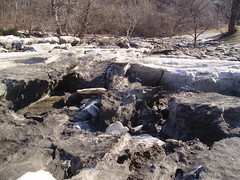 The massive chunks of ice make for a very cool obstacle course. It's quite the challenge and just dangerous enough to make it super fun. I think glacier hopping should be considered as a non-medal sport in Vancouver next winter. 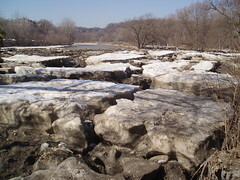 Here's a photoset from our visit to Etienne Brule Park. If glacier hopping intrigues you, get down there before it all melts away.